I think that Hurricane Irene’s only real casualty in New York City was the And I Am Not Lying show. I was willing to wade to Union Hall and stand on top of the bar if I had to, but with the MTA shut down, not many folks would have made it. And plus, the place was closed. 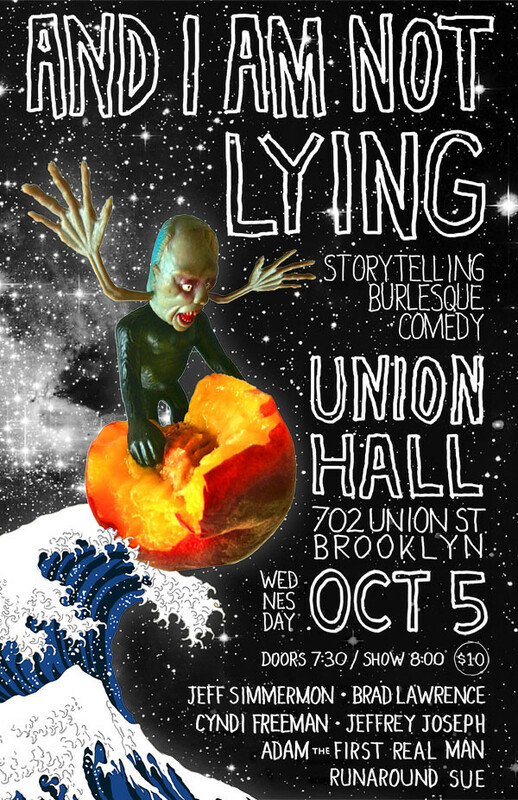 The show’s at Union Hall on Wednesday, October 5th. Doors are at 7:30 PM, show starts at 8, tickets are $10. You can get advance tickets here.